Latchkey Child Services Inc. is an Oklahoma based non-profit organization that was founded to provide quality before and after school care for children during the hours when school is not in session and the parents are not available. Our programs operate inside the schools where our staff provides quality care for children. 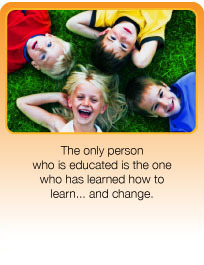 Today, Latchkey partners with numerous schools and impacts the lives of over 1,000 students annually. Latchkey brought award winning storyteller, Susan Klein from Masseschusetts, in town for the OKC Storytelling Festival, to D.D. 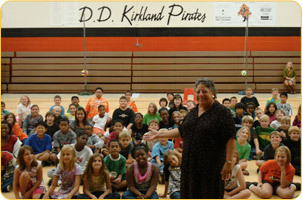 Kirkland Elementary as part of their community outreach efforts! We promise to devote our time and effort to ensuring that children are safe, happy, and cared for in a positive environment. We are committed to meeting the developmental needs of children through developmentally appropriate experiences and activities with caring and nurturing staff while providing supervision and guidance that helps children develop their leadership and social skills.